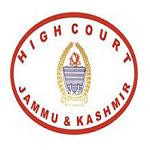 Online Application Details for High Court of Jammu & Kashmir JK High Court Recruitment of 78 Steno Typist and 201 Junior Assistant is given below. Application form and duly attested documents are to be sent to Office of Concerned Principal District and Sessions Judge with self attested copies of relevant documents/testimonials, one recent passport size photograph and a bank draft . In envelope super scribed with 'Application for the Post of Post Name'.